There are countless amenities such as a convenient store, 9 pools, tennis court and gym on site. The property is well maintained. It is close to the city. 15 minute walk to Cairns Central and 5 minute car ride to town. Cairns One! 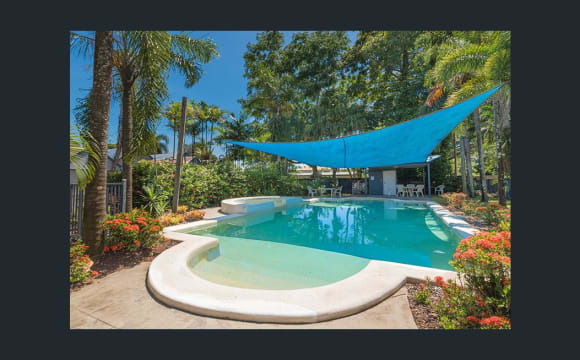 Situated walking distance from the CBD of Cairns, this villa offers nothing but the very best. The private townhouse boasts the safety of being located within a gated community (with both CCTV and officer security), safe parking, fully furnished, unlimited wifi, air conditioning, electricity, your own bedroom, plenty of wardrobe, a private plunge pool, three separate outdoor courtyard living areas, a large and modern fully equiped kitchen, laundry AS WELL as access to any one of the 9 luxurious communal pools, tennis court and gym. There is also a general store situated within the complex. We have a really friendly, trustworthy and fun flatshare arrangement at the moment so we are looking for someone friendly, easy going, clean, tidy, reliable and respectful. Non-smokers, full time work / or student who works part time preferred. FIRST WEEK FREE RENT !!! LOOKING FOR A COUPLE..... (or a single person who likes spacious lux) We create Homes. We Fully Furnish. We provide. You move in and Enjoy. Welcome to our Boland St home = A Large, Comfortable, Friendly Home. Clean, Tropical, Bright and Fresh. Air conditioned rooms, back deck, BBQ. Fully Furnished, Full kitchen , lounge area, UNLIMITED WiFi. Quiet and Private. Very secure private property. ALL BILLS INCLUDED. YES your friends are welcome to visit for dinner / movie / study :) Off Street secure parking x 2 remote doors. Security coded entry gate AND the bus is just around the corner. Wow convenience! Council Bus is a simple 2 km ride to Cairns Central Shopping Centre! More then 5 buses to take you to the city centre for all your work and leisure needs. DFO, Petrol station, night owl, Hungry Jacks, Coles etc etc all close by, walking distance. 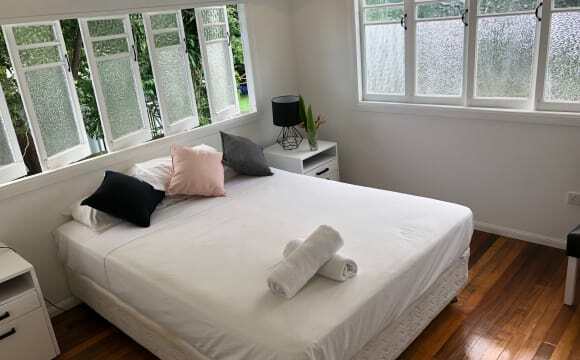 ************************************************************* AVAILABLE NOW: COUPLES ROOM (or a single who wants extra space!!) = Huge, spacious Queen bed room. Air Conditioned, wardrobe, desk etc etc. $250/week. ************************************************************* PROFESSIONALLY MANAGED. Applicants please note : Minimum 3 month stay requirements apply. Ideal for a reef workers of a local company . I am moving to Mt Isa and are looking to rent out my property. It has two cottages on the on block. Price is for the whole property. 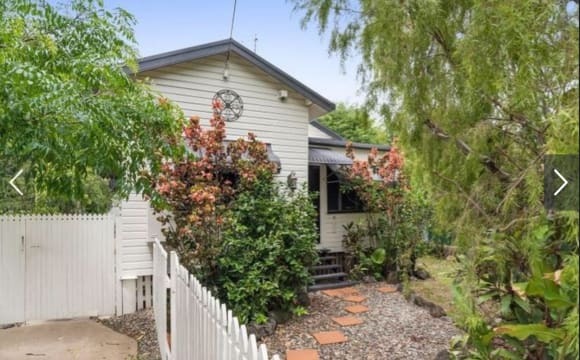 1st house is a charming little low set Queenslander. 3 bedrooms plus an office. Room one is huge, queen size bed and split system air conditioner. Bedroom 2 queen size bed with split system air con, Room 3 double bed. 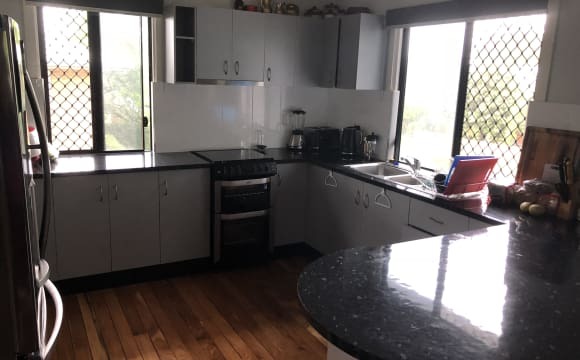 Large kitchen , bathroom has a shower over bath with a seperate toilet. All rooms in the house have ceiling fans. Lounge room has split system. Undercover outdoor dining area. Outside shed. Fire pit. NBN fibre optic cable to house. Off street parking for one car, shaded on street parking also available on a wide quiet street. Second cottage has one room with a queen, air con and cupboard. Modern bathroom and reading room. Polished timber floors. Shared laundry facilities, washing machine and dryer. Property is 5 mins by car to the CBD, 10 mins by pushbike or a 20 min walk. 3 blocks to DFO, 7 blocks to Cairns Central. Quiet street. Breaks down to $162 based on four people sharing with there own room. Even less if you have couples. All ready to move in. 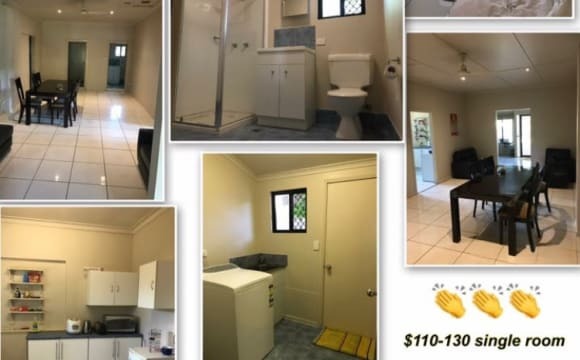 Property available early May 2019, so if you are looking for a great place to rent in Cairns (Parramatta Park); please let us know. ;) 2 bedroom, fully furnished flatshares close to town; perfect for those looking for a clean, spacious, relaxed homebase. Rooms available with own bathroom, toilet and kitchen. Prefer Female tenants. Property is eco friendly, no air-conditioning running only fans, solar hot water and gas. Enough to accommodate singles only, no couples. Rooms are impeccably clean, tiles and/or timber floors throughout, no musty carpets. Cleaner visits once a fortnight, all vacated rooms are thoroughly cleaned including sanitized linen and beds for arrival of new guest. Smoke alarms are fitted in all bedrooms and kitchens. 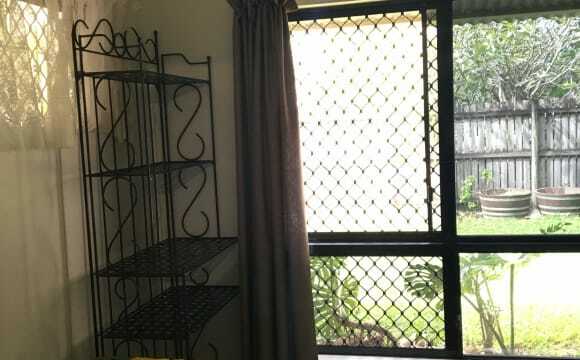 Property is located in Parramatta Park nestled between Cairns North, the Esplanade and the Cairns CBD, and includes spacious rooms with clothes rack, Double or Queen bed and desk if required. Property is fully furnished, has a flat screen TV, unlimited internet, and all other utilities are included in the weekly rent. 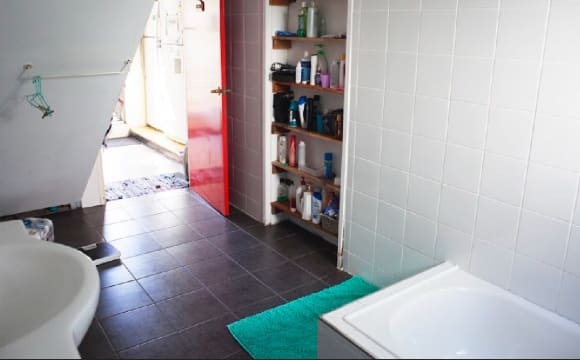 Imagine sharing a kitchen and bathroom with only 1 other flatmate?! There is a communal covered patio area around the back for group dinners, sunchairs to enjoy the sunshine, daybeds to rest on and read a good book or sit and chat on the balcony overlooking the garden. 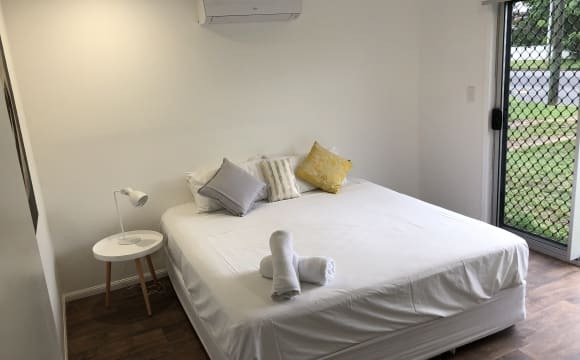 Property is within walking distance to all the great food outlets: McDonald's, KFC, Dominos Pizza, Pizza Hut, and Night Owl Supermarket :) All within 10-15mins walk, faster if you ride (4mins) Or cook at home, full kitchen includes gas oven/microwave/fridge/cooking utensils/toaster/kettle etc). Located just a 5 minute pushbike ride to the Esplanade, Hospital, Cairns Central Shopping Centre (Coles), town centre, Language Schools, CQ University, Cairns TAFE college, Dive schools (Deep Sea Divers Den and Pro Dive) and the CBD (Woolworths). Less than 10min ride to the (free) Cairns lagoon: get some exercise, sunshine and enjoy a refreshing swim All bills are included, including FREE WIFI. Owner does not live at the property Smoking permitted in outside areas but not in rooms. This home is a luxurious fully air conditioned modern, clean, newly renovated residence with 2 x Queen and 1 x King size bedrooms. 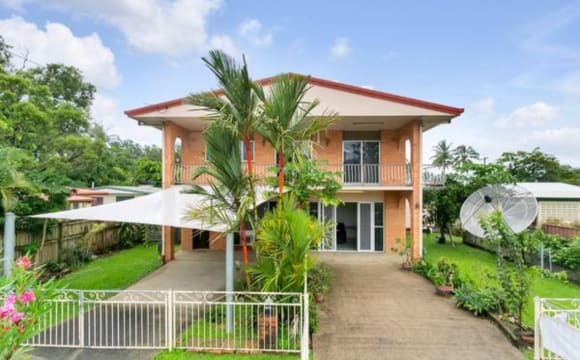 It is just 2 km from Cairns Central Shopping Centre, it has a large lounge room, a new kitchen, granite bench tops with new cooking facilities, polished timber floors, a brand-new bathroom, a large back yard with several different fruit trees, prices include Wi-Fi, water, garden maintained and electricity. Suit students, working professionals, quiet back packers, and couples, ($220 / wk for a couple) please call or text to inspect. At the moment, we have a fully air-conditioned room available with a Large Queen Size Bed and large built in Robe. Great and friendly sharehouse. Private room. NOT A PARTY HOUSE OR No DRUGS ALLOWED ON THE PROPERTY, BBQ outdoor area and above ground lap pool. $250 for couple. brand new renovated home private with all new furnishing,aircon, built in in all rooms, sucruity screens, wifi. No other bills to pay.. The gated complex also has a pool and BBQ area. 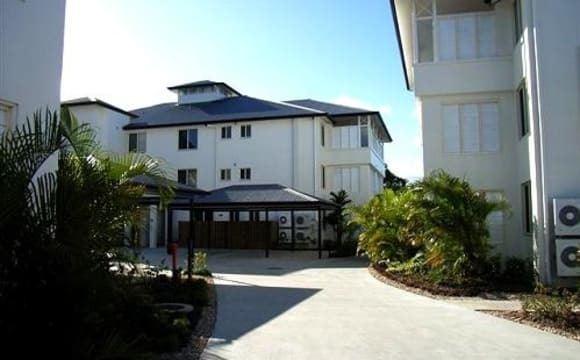 Cairns City lifestyle 2 blocks from Cairns Central. Fully Furnished Large room with private patio/study and own private Bathroom and Garden. 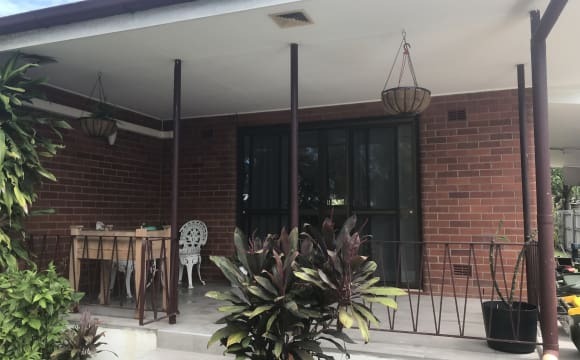 The appartmant itself is likely the best in the small secure complex as it has larger outdoor areas than most including an extended decking area, private verandahs and its own large Jacuzzi in the backyard. Pool, spa and BBQ area and well maintained surrounds. 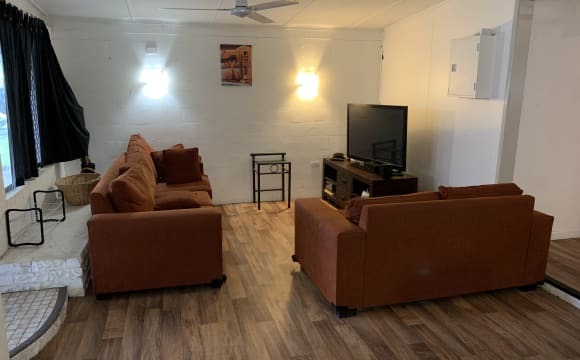 Fully furnished Aircon &amp; Ceiling fans throughout. Must be prepared for approved applicant check for the real estate and owner which includes rental reference check, payslip check, and 100 points of I.D. price is for long stay and prefered. short stay is considered and price may differ. 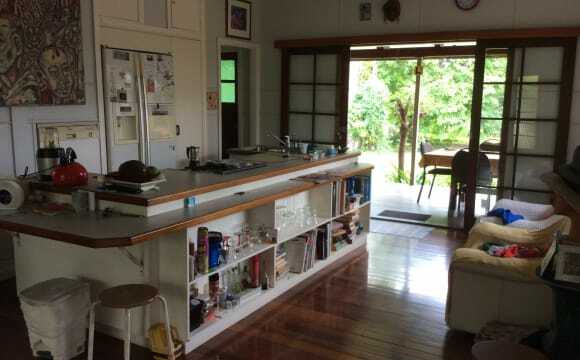 old queenslander close to town.. 11mins walk from cairns centrail and hospitals. 3mins to tafe maybe closer. .close to busses for south and north of cairns. its quiet, i have 4 chickens and a trampoline in the yard. kitchens new. and 2 big mirrows in the barthrooms for the ladies. my house is a quiet but friendly as a home should be a place where one can relax. Clean. Comfortable and convenient location. Close to all amenities.